Anna Robbins is co-owner of Tallus Capital Management (associated with LPL Financial) and has over 15 years of experience in the financial industry. She has created and implemented a client-focused approach to financial planning and investing to address the individual needs of people and organizations. Anna takes the time to listen to clients to gain a better understanding of their short-term and long-term goals, and then she will recommend strategies to address those needs. Typically, clients are focused on capital preservation, addressing current and/or future income needs, and Anna provides appropriate investment strategies based on the risk tolerance of a client. The client relationship is always evolving because the financial market is always evolving. Anna strives to educate and communicate with clients on a regular basis to help minimize uncertainty with a volatile financial market, and provide timely economic information. Sometimes changes should be made in a client’s portfolio based on economic information, and these recommendations are individualized for each client. 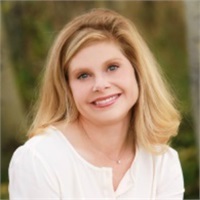 Anna graduated from Portland State University from the School of Business Administration and holds the series 7 registration with LPL Financial, the series 66 registration with Financial Advocates Investment Management along with a Health and Life Insurance license. Also, Anna has an Accredited Asset Management Specialist (AAMS) certification. Prior to a career in investments and financial planning, Anna worked for publicly traded companies, where she managed retirement plans, stock purchase plans and pension plans for union and non-union employees. Designing, reporting, executing and maintaining these programs were her primary responsibilities. In addition, Anna has served on a variety of non-profit boards in the community and held executive committee positions with a few of them. Currently, Anna is a Mt. Bachelor Rotary member and is co-chair for the St. Pats Day Dash event where the net proceeds are given to a local non-profit in the community.